Allied races have come to World of Warcraft! Right on the heels of unlocking flying the races were released on the day we moved into our new place. Dire and I managed to Pre-Order and finish up the achievement we needed for Nightborne. Between moving and packing I did manage to finish up the achievement for unlocking flying on my account, which was a huge relief. 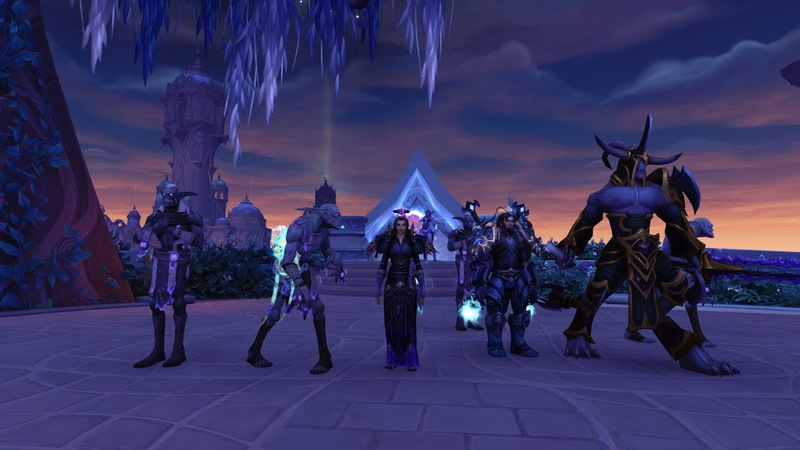 Then we still had one more quest line to finish up to unlock the Nightborne, which is the only allied race I have unlocked, luckily it is the one I wanted to play. Dire has everything else finished up as he didn't take a break as long as I did and has all the faction required. Lucky man! Dire and I working through the quest line for the Nighborne achievement. Fun playing together again! I hope that the faction requirements are removed in time because if you have taken a break it is quite a bit to unlock some of these races due to faction gating, the amount you can get daily is limited. The forums are full of people patting themselves on the back for playing WoW and doing their chores like good little children. But the reality is that it is a game and this is something you normally see in an Asian grinder or a cash shop based game. Not something you see in a top of the line MMO for a paid expansion touting new races as a hilight, until now I suppose. I don't mind it as much if it is removed for people returning, once the expansion goes live. But it is a huge time sink and it is a hobby, not a job. I think it was a really low blow on top of paying for the expansions to play these races and then have to unlock them in the game. That being said the race I really wanted to play is unlocked for me, I don't have any issues, it would be nice to play a void elf too but my heart has always been after the Nightborne. 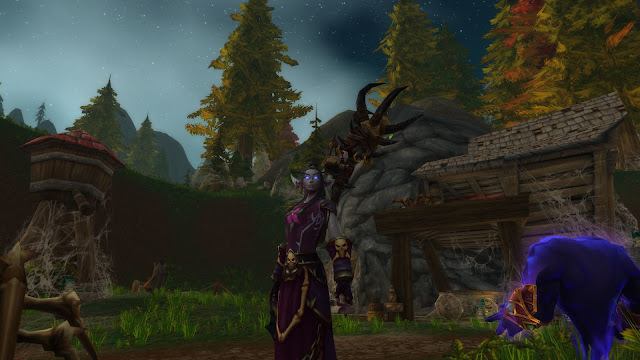 I made a warlock, which is my main on the alliance but I could not resist to have one on the Horde with the new race. Leveling through the newly revamped system has been okay, slower but not terrible, I really have had very little issues. Dire has had more trouble leveling up characters through higher content, I suppose with certain specs and classes your mileage may vary. I love the class and the race is so cool, they have neat tattoos and some interesting earring choices, oh and purple eyes. Mine is sitting in her 30's, they start at 20. I am still recovering from tendentious and just being exhausted from pushing everything in this move to go "flawlessly" and on a tight schedule. I am wore out but happy. It was icing on the cake to get BFA pre-ordered on the day we moved in. The cable guy was hooking everything up before the movers had finished moving all our stuff in. We've moved several times since I started this blog, I hate moving, but this will be it for us as we have our own home now, a lovely little house on the edge of town. I was happy I had time to finish flying and finish unlocking the allied race while getting settled in. I wanted to get a post up about some thoughts on the new allied races. Which I can't comment on other than I have seen them all in the character creation, lol. They all look interesting, though most are just re-skins of current races. 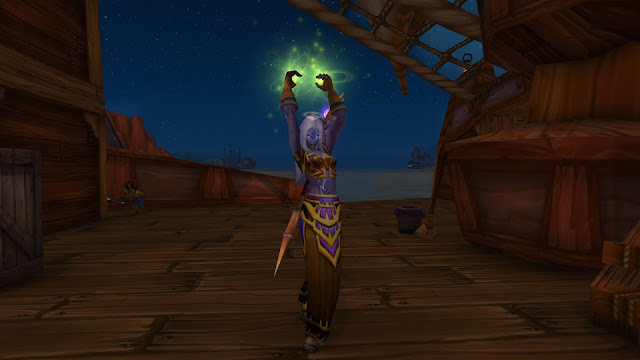 The Nightborne, while sharing animations with the Night Elves, felt the most unique and new to me. They have a different stance, a different look. They all come with wonderful hair choices, I wish they would share those with existing races eventually. EQ2 has the Valentine holiday heading this way soon and also EQ has unlocked a new expansion on the Agnarr server, Luclin. I'd like to pop on those when time permits! That's it for today, safe adventures! So you have to do quests to unlock the Allied Races. Ugh, why not just make them unlock for those who buy the expansion. 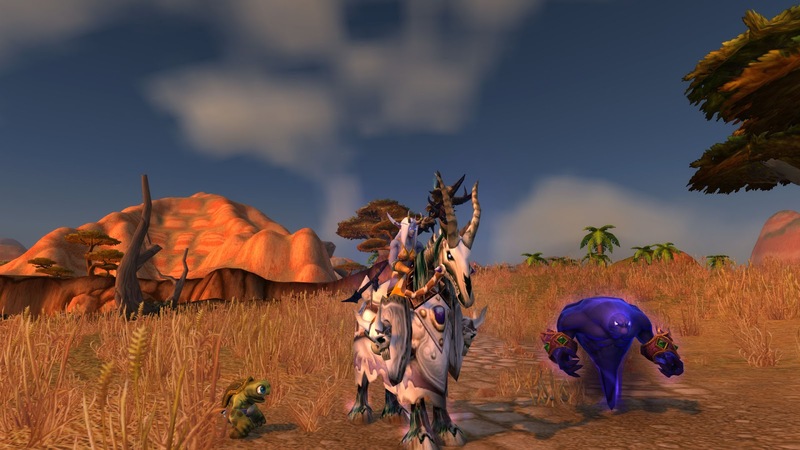 Faction grinding daily quests are the bane of MMO's, yet it seems the most common way to inflate gameplay time. Congrats on the move. I hate moving myself! Thanks, Jay! Yeah, you have to not only gain achievements from the quest lines associated with each race, you have to have faction on top of that. Not a fan of this at all, especially for returning players. Sometimes you need a break, these are games, not life choices. It shouldn't be a monumental task to jump in with a new playable race. If it were a free content update I could see it... Maybe. But this is a paid expansion, hopefully they remove it at release or at least remove the faction requirements. I feel for people who have to catch up, it's a real slog if you're excited and chomping at the bit to play one. Why do not you think about this? This is what I call today.